The Gola Classics Specialist Suede is a terrace influenced trainer style, which features a contrasting vintage style sole, suede leather upper and contrasting off white Wing flash branding. 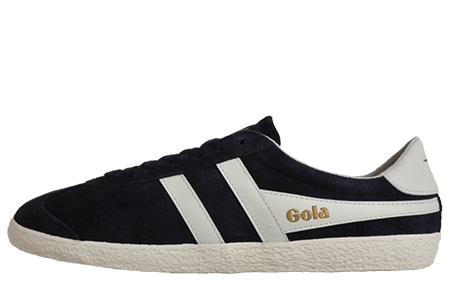 This Gola Classics Specialist suede is the epitome of a much sought after retro classic runner, combining two trainer silhouettes from Gola’s 1975 catalogue, its make up remains as relevant today as it was all those years ago. 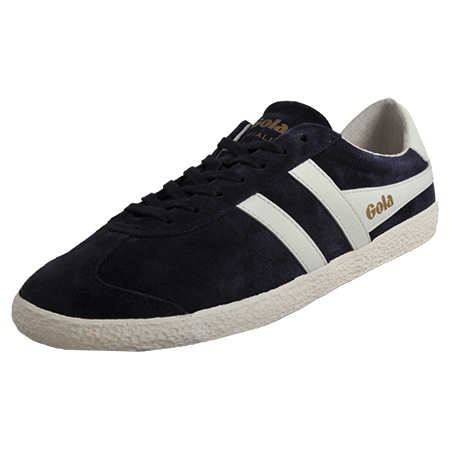 The Specialist features a premium suede leather upper with Gola classic branding adorning the sides. A cushioned insole gives impact protection from harmful forces, whilst the gum outsole and on trend finish represent an old school runner look and feel enhancing the shoes visual appeal showing this is a trainer which is steeped in heritage and style.